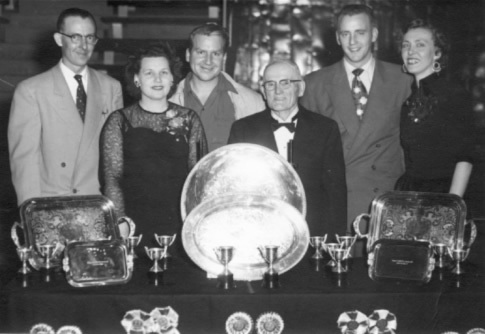 1954 Trophy Table with Marg and Wally Jacob, 2nd and 3rd from left. Marg and Wally were instrumental in the shows and events of the Club for decades. Published March 22, 2014 at 485 × 334 in History.